After Sir Humphrey of Fox Glen commissions a new side arm from her father the swordsmith, Miriam finds her womanly scabbard aching to be filled by his manly sword. All the women of Miriam’s village lust after Sir Humphrey of Fox Glen, newly arrived to attend to his aging uncle, Sir Edmund, Earl of Northwoods Shire. When the young knight commissions a new side arm from her father the swordsmith, Miriam discovers why. Unable to reveal to anyone that she actually smiths the swords her father sells, and unable to reveal her own carnal desire for the young knight, Miriam listens to the village women’s bawdy comments about Sir Humphrey yet keeps her thoughts to herself, until a chance meeting at the waterfall where she bathes changes her life. Miriam finds herself keeping more secrets than any woman should. But if she gets too close to Sir Humphrey, it might mean revealing her family’s secret. Does she dare risk her family’s heritage just to quench the fire in her loins? 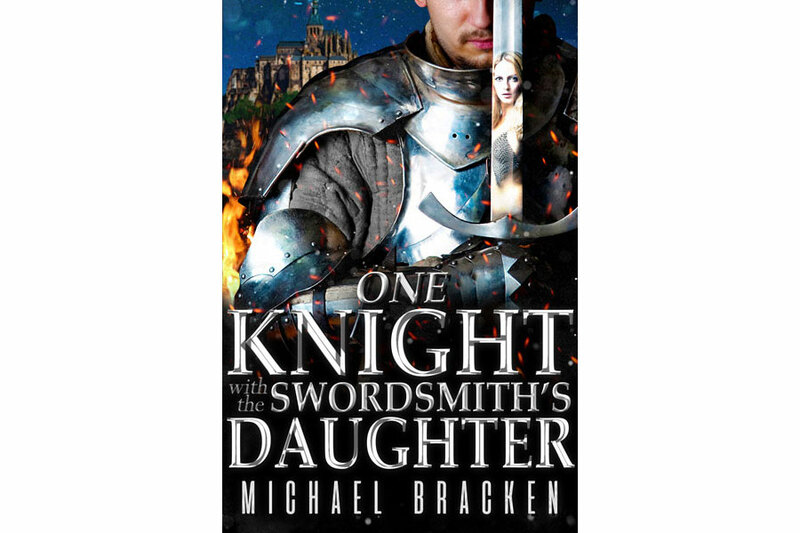 One Knight With The Swordsmith’s Daughter is a 6,200-word short story.